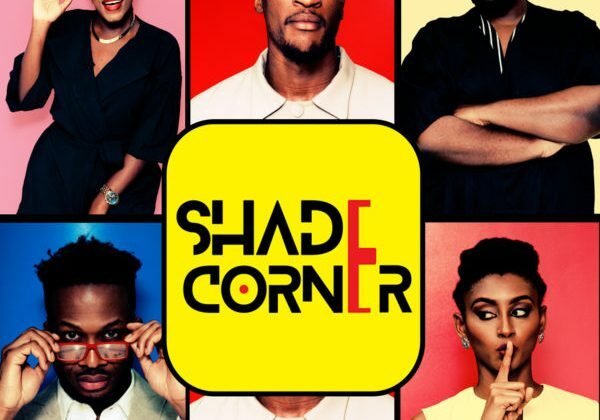 The easiest way to set yourself up when you’re trying to debut a talk-style web show to a cynical audience is give it a name like ‘The Shade Corner‘. A boastful name almost daring the audience to judge you as impersonally as possible. Yeah I said it, oya come and arrest me. The Shade Corner is the concept of Akah Nnani, who has tried his hand at everything but singing at this point. Akah was the lead on On The Real (which barely got off the ground) and host of Accelerate TV’s news show, before he was swapped for Biodun Laaro. The Shade Corner would have been another chance to redeem himself. Except it isn’t. I’ll let Terver Bendega, Youtube commenter, explain it best. The idea was simple, gather four very attractive people (Camille Shaiyen, Bayo Oke-Lawal, Makida Moka and Noble Ezeala) with one host/show creator, put them in a room and let the shade fly. 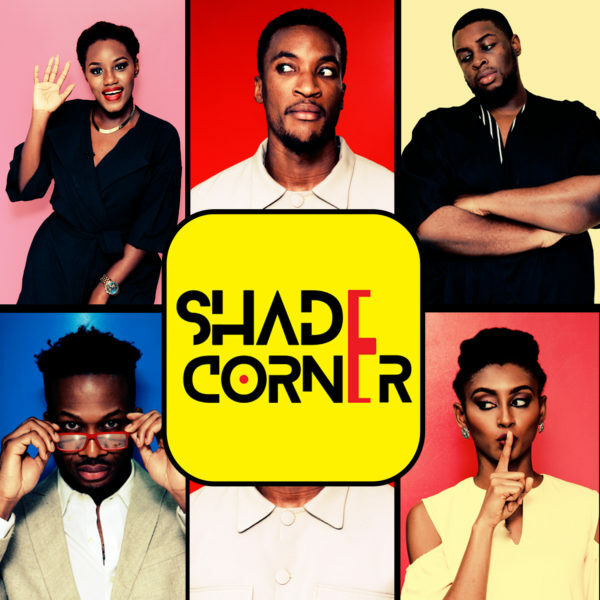 But when our four heroes on ‘The Shade Corner’ comes together, everything falls flat. First off TSC’s designed set is a really bad clone of the E!’s Fashion Police set. It reduces the glory of what should be a ‘Shade Corner’ to an unimaginative man’s Shade Room. And that’s if you completely ignore the poor segmentation and continuous spate of raucous shouting over each other voices. Worst lines on this episode in particular order. AKAH: These are the shadiest people in all the land. MAKIDA: (while being gently dragged for wearing shade indoors) Because what show are we on? Perhaps one where you should know better than wear sunglasses inside? KING CAM: King Cam… Roll Cam. MAKIDA: I’m not a Module, you don’t study me. KING CAM: (to Akah) Were you the midwife at my… berthing… theatre? AKAH: (bleating out that one tired viral joke) WHEN WILL YOU MARRY? WHEN WILL YOU MARRY? Where TSC manages to redeem itself are the moments where Bayo Lawal and Noble Ezeala get a word in. Bayo’s world class drag of Cossy Orjiakor had me screaming. He didn’t stop there; he effortlessly took down Omotola, Tonto and Jay Jay Okocha and came back and dragged Akah, all done and dusted without even raising his voice. Me everytime they let Bayo hold court. They need to rest everyone else and give Bayo his own show, and add Noble so he has someone on his level. You can tell that Noble has shade in him, but he kept struggling to keep his shade PG.13. Noble, set yourself free and let that shade fly. King Cam gained our attention with her brazenness on the WJGB podcast but save for her ‘I ride for Tonto and her 27 dogs’ line, she was M.I.A on TSC. I guess taking out the anonymity of podcasting made her choke. I don’t want to believe that King Cam is really a Camilla Vanilla. Universe, please do something. By the end of the episode I felt cheated. Nigerians basically breathe shade, and the entire episode of was just one big breath of corniness. This is the first episode so we’ll hold out and see if the future episodes get any better, but just in case here’s a refresher. If you have to call yourself ‘Shady’, then you probably aren’t. 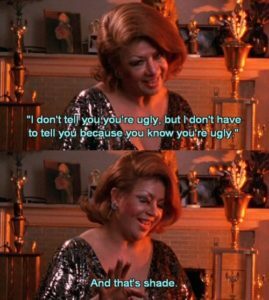 There are drags, there are reads, and there is shade. Learn the difference. If the shade isn’t flying then drop the dead weight. We’ll watch The Shade Room Corner because, paucity of Nigerian helmed shows, and we’ll keep an open mind to see who is legit and who is dead weight.